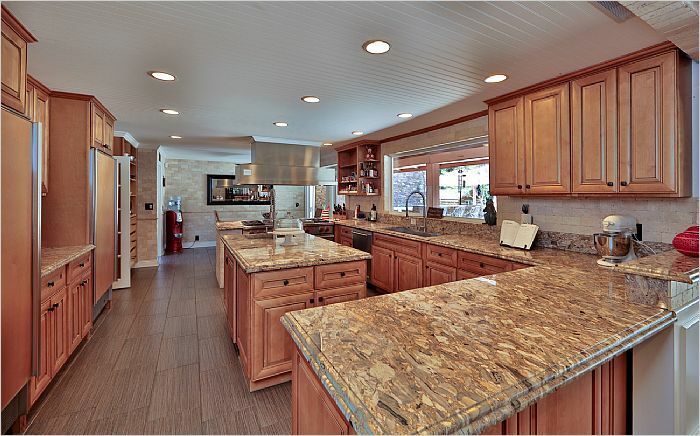 A private country estate located in one of the most sought after communities in Westlake Village, The Trails. 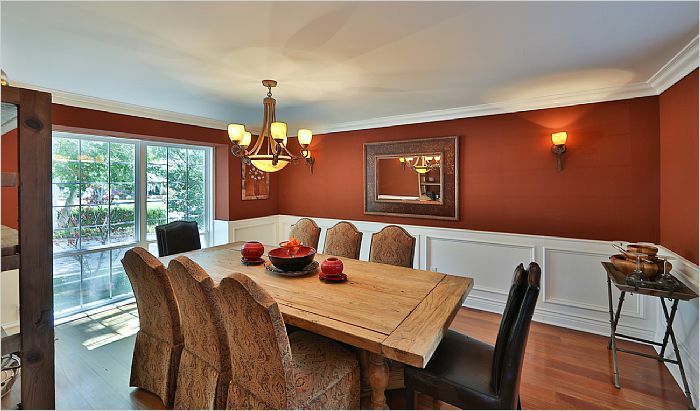 Conveniently close to all that Westlake has to offer, attention to details can be seen throughout. Wrought iron staircase in the foyer. 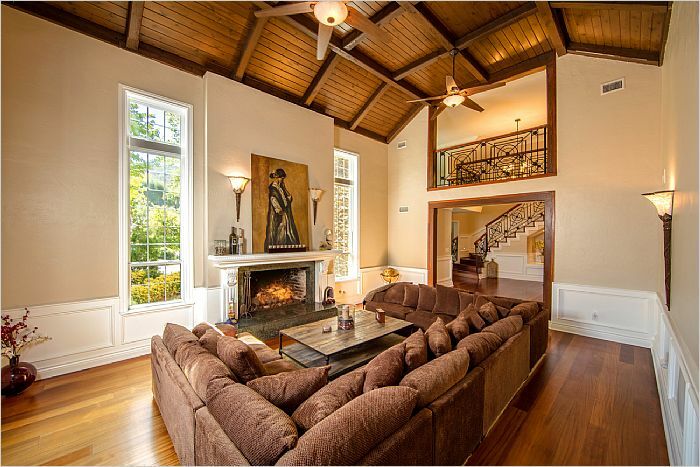 Elegant living room with 20'+ ceilings & large fireplace. Master bedroom has one of a kind stone fireplace, & a spa like master bath with dual sinks, relaxing tub, separate shower, & dry sauna. All bedrooms are Ensuites. Downstairs has one bedroom with a side entrance plus an office/ gym/ or another bedroom with full bath. The large formal dining room with butler's pantry leads to the well-designed kitchen with island, top appliances, separate full size side by side refrigerator & freezer, Chef's stove & eat in kitchen area with double doors leading to the complete chef's outdoor grill area. Designed for gatherings of all sizes. 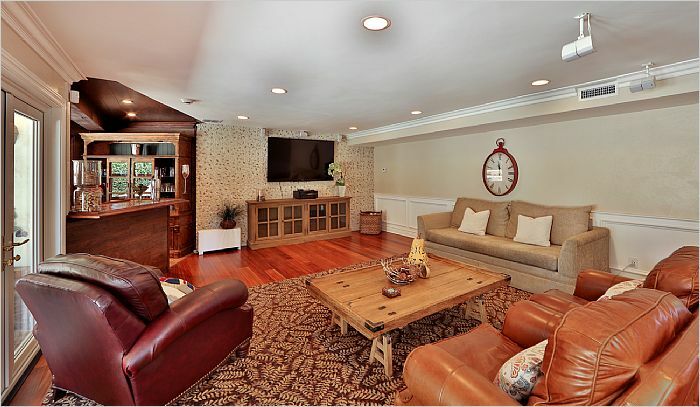 Off the kitchen the spacious family room has fireplace, bar, & opens to the covered patio outdoor living spaces. Lush backyard is made to enjoy the So Cal lifestyle with multiple dining areas, sparkling pool, slide, waterfall, & sand volleyball court. Above the garage is a space for a separate living area/ guest house an office, gym, or theater with heating & air. Outside the garage there is more than enough room to park multiple cars, boats, & toys. 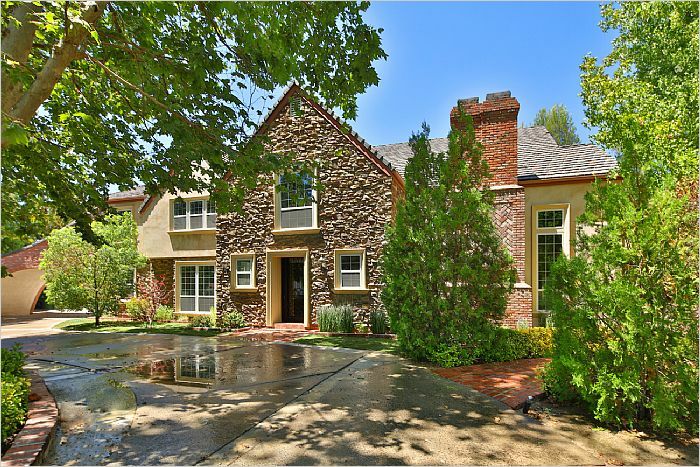 And the top public & private schools a short distance away make this a must experience property.